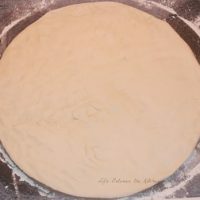 Here at our little urban homestead, I enjoy making things from scratch when I can, like homemade bread maker pizza dough. Don’t get me wrong, people…when the occasion calls for it, I am definitely known to do things the easy way. For example I love cake from a mix and rarely bother to make that from scratch since cakes from a mix are sooo yummy. Anyway, I do enjoy pizza crust made from scratch, so that is one of those things I pretty much never buy pre-made if I am making pizza at home. The booklet that came with my bread maker has a recipe for pizza dough, but I tried it out and it just didn’t do it for me. I kept tweaking it and eventually came up with a recipe that I was happy with. I love that I can just throw the ingredients in the bread maker and an hour later the dough is done! It. Is. Awesome. But…before we get started on that, I want to tell you something else that is awesome that you can do with that dough: my Easy BLT Pizza Recipe! You will love it! 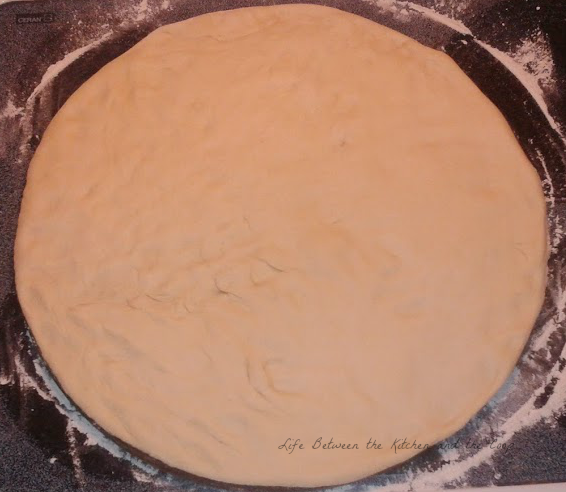 After you make your dough, be sure to give it a try! Now then, on to the pizza dough recipe. Get out your bread makers, peeps! After you have done those things, make a little well in the dry top of the mixture and put the yeast in the well…don’t get your yeast wet! 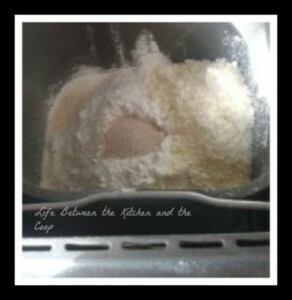 Before taking it out, flour your hands so that the dough doesn’t stick to your skin. If the dough is sticky, just fold in a little extra flour. Now you can use it for pizza, stromboli, or whatever! For other great recipes and tips, don’t forget to Follow Me on Bloglovin’! 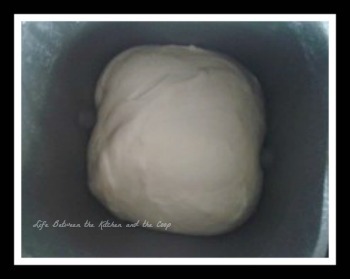 Make your pizza dough in the bread maker!!! It's so easy! I love that I can just throw the ingredients in the bread maker and an hour later the pizza dough is ready for you to make your favorite pizza pie! Now that you have all of your ingredients together, spray the pan and then add the above ingredients in order (remember wet, dry, then yeast). Now all you have to do is push the “dough” setting on your bread maker and then push “start”. Before taking it out, flour your hands so that the dough doesn’t stick to your skin. If the dough is sticky, just fold in a little extra flour. Hint: Once I put the toppings on the pizza, I like to melt a little butter (1-2 Tablespoons) and use a pastry brush and brush the butter around the edges of the crust. Then I sprinkle the edges with a little bit of garlic salt. Hint: Once I put the toppings on the pizza, I like to melt a little butter (1-2 Tablespoons) and use a pastry brush and brush the butter around the edges of the crust. Then I sprinkle the edges with a little bit of garlic salt. Yum! P.S. 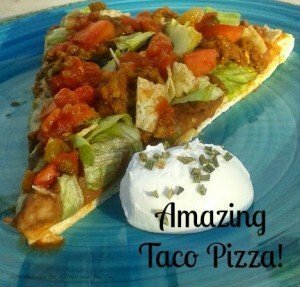 If you are looking for a great homemade pizza to try once you have made your homemade pizza dough, you should definitely check out my taco pizza recipe! It’s amazing! I can tell you three things that you can do THIS WEEK to have better emergency preparedness in your home! As you wish! Good stuff is coming to your inbox soon! After you fill in the boxes above, click the button below to get 3 easy emergency prep tips in your inbox! Plus, over time I'll share other tips about topics such as gardening, emergency preparedness, cooking, and food preservation! Make Some Yummy BLT French Bread Pizza! Life Between the Kitchen and the Coop © 2019. All Rights Reserved.